Industry Innovators:"INSTALLED RIGHT!" 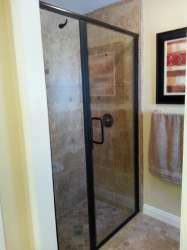 INDUSTRY INNOVATORS, INSTALLING THE GREATER SACRAMENTO AREA'S BEST SHOWER GLASS FOR 20+ YEARS.. 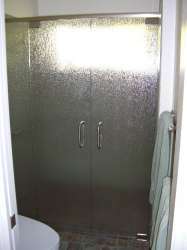 Accent Shower Door is the source for creating your perfect shower. With our product knowledge and experienced professional design solutions, we promise to not only provide you with a functional shower enclosure, but also with the finishing touch to your new shower environment, with superior workmanship, and a 3 year warranty. 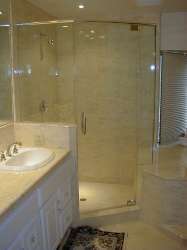 Take a look in our gallery to see example of our work and get some ideas for your own home. 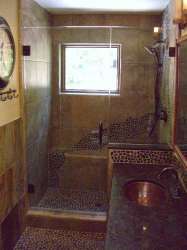 Many of our design solutions and installation methods provide you with a shower environment that is easier to maintain, stronger, and lasts longer with less mold build-up than our competitors methods. 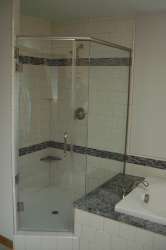 By just spending more time on the job we make sure that your new shower door is "Installed Right" the first time! 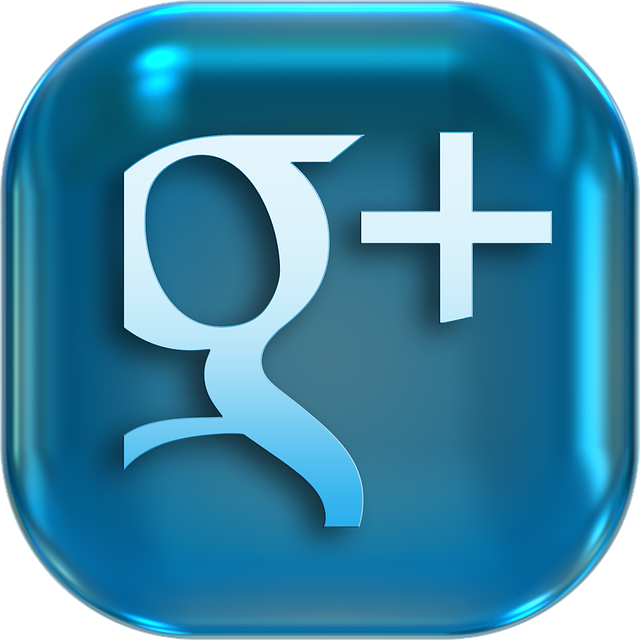 We are rated with the Better Business Bureau so you can be reassured that you are dealing with a reputable company. 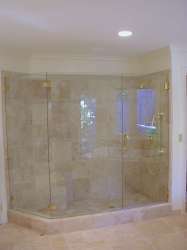 Frameless Shower Doors & Enclosures have become the Preferred Style that many Home Owners are seeking. 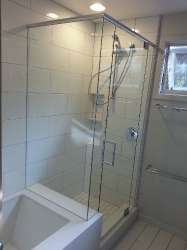 Sliding shower doors typically have a small handle or knob on the inside slider panel and a towel bar on the outside panel. 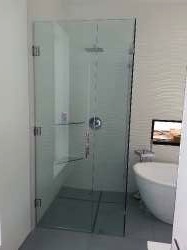 Our Semi-Frameless doors are more than a traditional shower door, Installed Right they are a work of art. We install custom mirrors cut to perfection by our in house state of the art machinery. The Industry Leader from Top to Bottom. With our product knowledge and experienced professional design solutions, we promise to not only provide you with a functional shower enclosure, but also with the finishing touch to your new shower environment, with superior workmanship, and 3-year warranty. , and education." 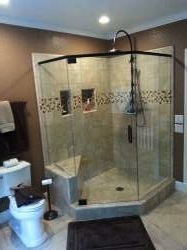 As we help guide you through the process of product selection, design, and installation of your new master designed shower glass you will see the difference. From manufacturing through installation our industry leading experience will benefit you. We would like the opportunity to earn your business and we are confident that you will be pleased with your decision. Our promise is not only to provide you with a beautiful functional Shower, but treat you and your project with Care & Integrity. After Hours & Saturday’s by appointment only.